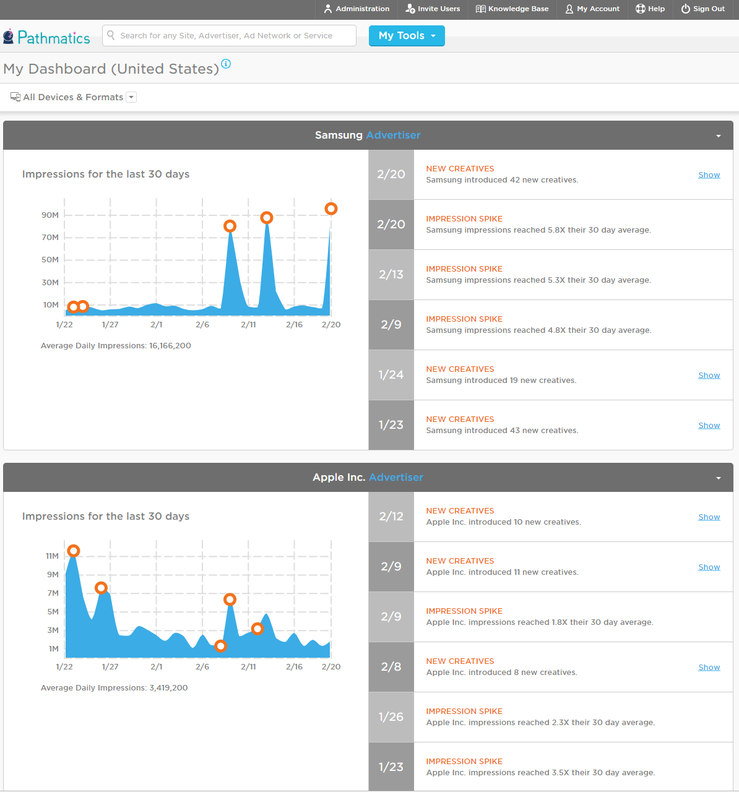 Pathmatics turns the world’s marketing data into actionable insights. As consumption rapidly shifts to digital, media decisions have become too complex and opaque. The Pathmatics marketing intelligence platform creates trust and transparency, giving visibility into the digital ad performance of brands, their competitors, and entire industries. It brings together display, social, video, mobile, and native advertising data, helping users to optimize media and marketing decisions. Brands and agencies get access to the creative used by all advertisers, spend and impression data, and path from publisher to viewer. This empowers them to minimize waste from their budgets, better position their marketing, and predict the next moves of their competitors. 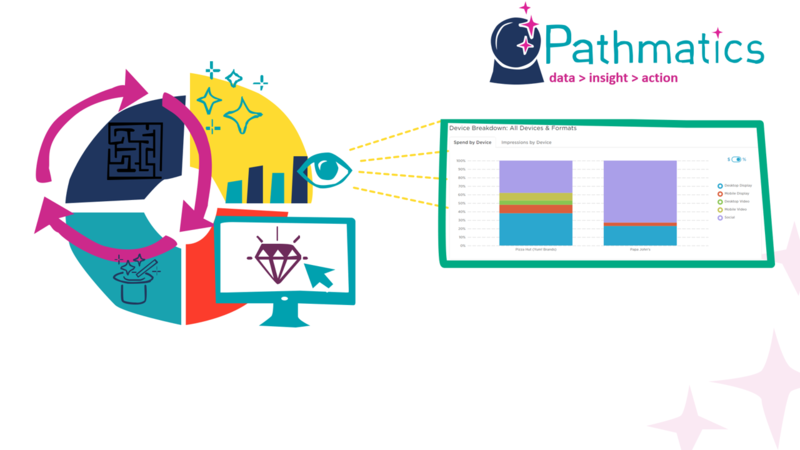 Pathmatics data powers Nielsen’s digital ad intelligence offering, Kantar Media’s Facebook intelligence, and is used by agencies like Mindshare, Mediacom and Possible. Pathmatics was founded in 2011 and is headquartered in Santa Monica, California, and is backed by Upfront Ventures, BDMI, and Baroda Ventures. Chief Marketing Officer at Pathmatics, Inc.
Pathmatics unique PathSource technology is the only true ad path detecting solution which truly identifies the full ad path from advertiser to impression. This extra dimension of data collection allows for deeper data insights, gives the ability to view information by site, advertiser, ad network, or service, and enables the most accurate impression and spend estimates. 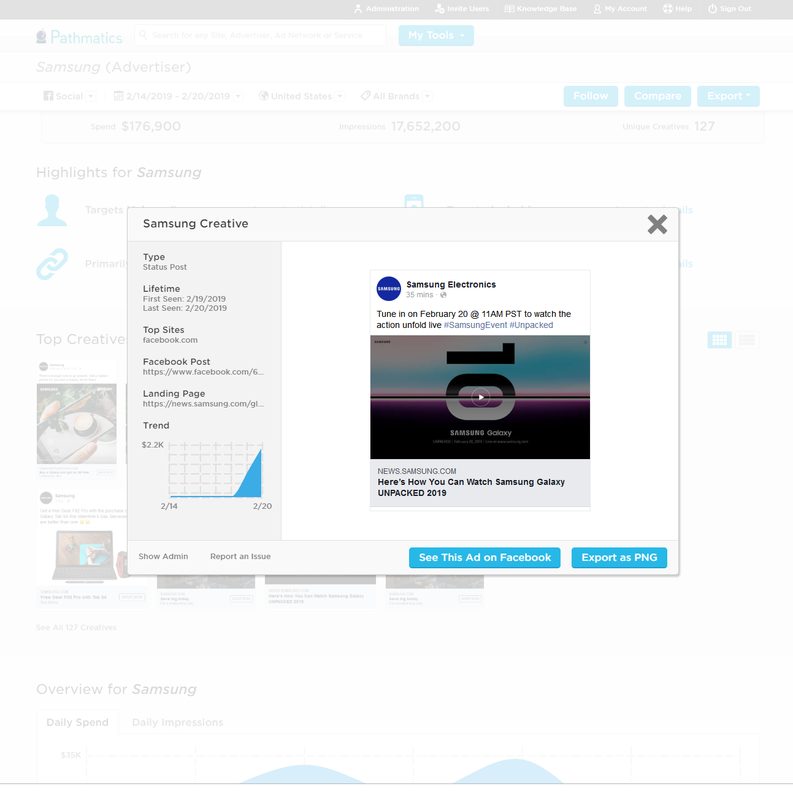 Pathmatics also discovers more ad types and sizes than other solutions.